GLOBAL NETWORKING NIGHT JUNE 2017! 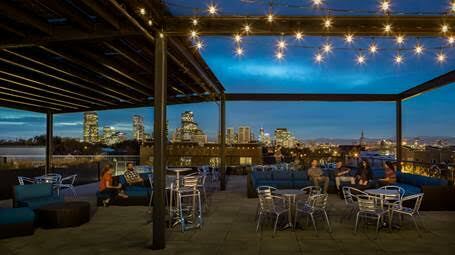 Meet other alumni and network in a beautiful rooftop setting in Denver! The Rocky Mountain Harvard University Club and Harvard Alumni Association invite you and a guest to our resurgent Global Networking Night, or GNN. This is a great opportunity to explore and expand your Harvard Network. This unique biannual event brings alumni together for one night every June and January in cities around the world. GNN events are designed to provide networking opportunities in fun, informal settings. GNNs are held in over 85 locations with more than 5,500 attendees each January and June. All GNN events are open to Harvard students, alumni, and guests. There is no entrance fee. Beer and wine will be provided by the club with food available for purchase. Please use the hyperlinks to register through your LinkedIn or Facebook account to maximize the networking opportunities! Our last GNN, in January 2017, drew over 100 alumni and guests; the next one will undoubtedly draw even more!